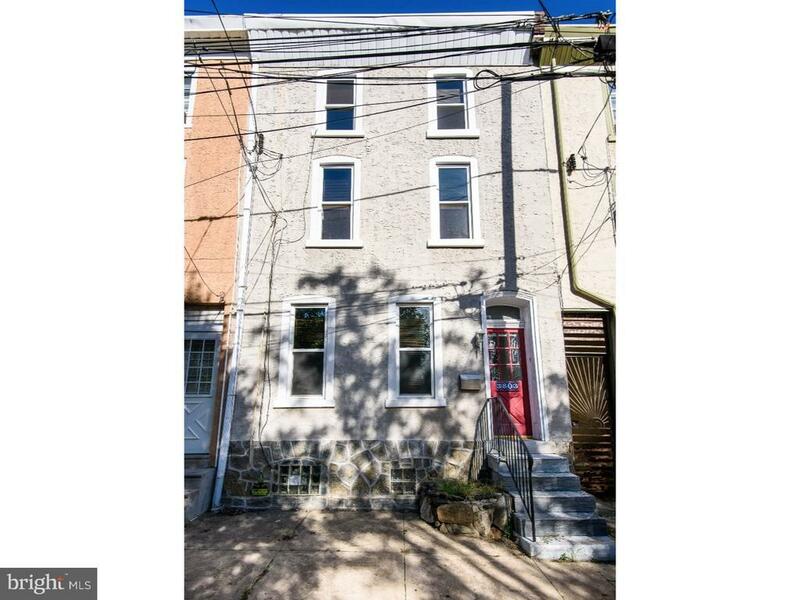 Charming & Spotless***This 3-story MANAYUNK row is filled with great detail & character. Only a few blocks to Main Street: WALK, SHOP & EAT! The first floor layout features a separate living room, dining room and kitchen, allowing for more privacy & opportunity to add your personal touch to each space. Enjoy the low maintenance & continuous appearance of hardwood floors throughout all 3 levels! The kitchen has a tiled floor, stainless steel appliances (gas range, dishwasher, refrigerator, built-in microwave) & additional space for bistro table or breakfast nook. The second level has two large bedrooms on each end of the hallway sharing the first full bath in between. The upper level of the home boasts two more bedrooms plus additional 4-piece bath: stall shower w/ rainfall shower head, deep claw-foot soaking tub & modern dual vanity. Bathroom can be accessed from either of the bedrooms. Extra storage space, full sized washer/dryer in basement. Enjoy entertaining? Plenty of living space inside, take the party out back! Private patio area & large fenced in rear yard. Stay comfortable in a consistent temperature all year long w/ CENTRAL AIR***Commute or travel? Convenient to public transportation, both rail & bus, easy access to I-76, City Avenue & Kelly Drive. Close to college universities, major roads/highways & shopping centers. Short ride into Center City or surrounding suburbs. Looking to OWN? Make this one YOUR HOME!! Truly A Must See! !